It's not quite midnight on Friday night, so I still have time to get this post out. Like I mentioned last week, I'm going to try to do a chart makeover every Friday. Most of them will be short blog posts with the before and after images. This week, my inspiration comes once again from Cork Gaines of Business Insider Sports. I also knew since it was getting late that it wouldn't take me long to find something on their blog that needed a makeover. 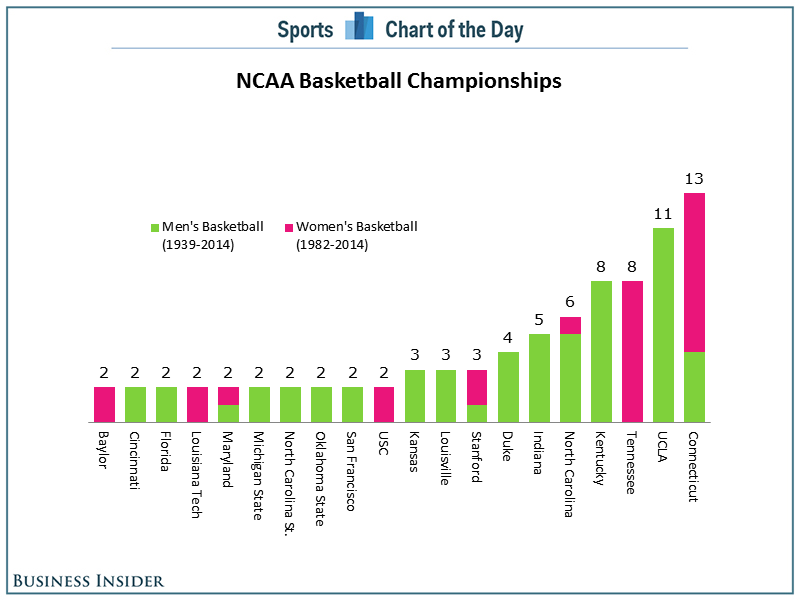 Cork presented the chart below, which shows the NCAA Basketball Championships won since 1939 broken down by gender. The chart is sorted backwards. 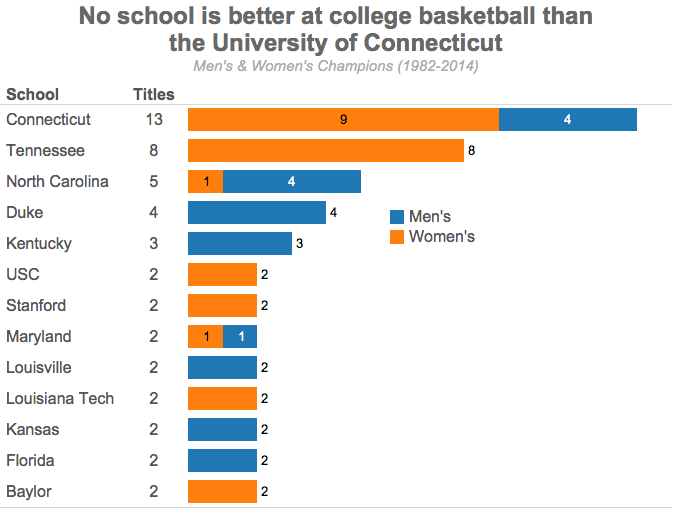 The purpose of this chart is to emphasize the schools with the most titles, so they should be listed first. You have to turn your head sideways to read the school names. Horizontal bars would be better. He's trying to show both men's and women's championships together, yet the date ranges aren't the same for both genders. To make it an apples to apples comparison, I would start my men's titles at 1982 as well. Given these few problems, I've come up with this chart as an alternative.